I know, it’s silly to ask who doesn’t love shopping? Shopping is one of the favorite activity for almost everyone and what could be best if we don’t have to go out of our comfort zone and struggle to stand in queue for trial or payment. I know many people can relate standing in a queue and still not getting what they are looking for. 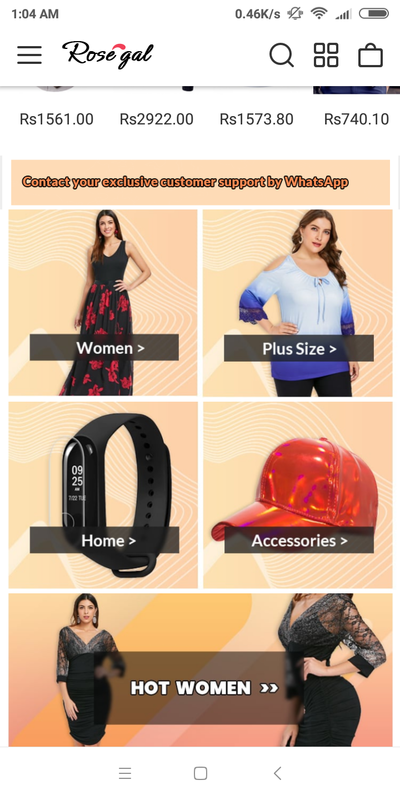 Recently while surfing I came across a very trendy and stylish online shopping destination for all. 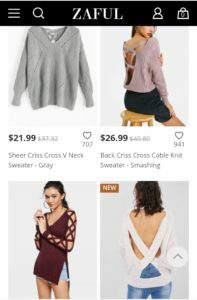 About Zaful.com– ZAFUL is your one-stop online shop for today’s most daring, exciting and edgy fashion apparel. Our affordable collections are all about redefining trends, design excellence and exceptional quality to satisfy the needs of every aspiring fashionista. 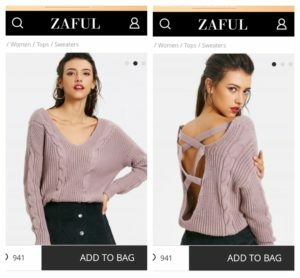 The original idea is to share the latest news and fashion trends on women’s clothing with fashion-forward, free-thinking girls, and we offer the fast fashion worldwide.Zaful is owned by Hong Kong Bi’an Information Technology Co.limited. 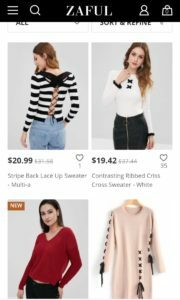 While going through the site, I came across some trendy and reasonable crisscrossed sweater perfect for autumn season in India. Stripped back lace-up sweater –priced at $20.99 –This piece is perfect for the girls outing.P air it with denim to give it a casual and chic look. Look best from the rest. Back crisscross cable knit sweater-smashing – priced at $26.99-This piece is perfect for date night or clubbing. Can be paired with leather pants or mini’s to give a perfect touch hotness. 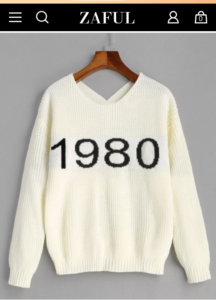 Number graphic crisscross sweater off-white –priced at $20.49 – This piece goes well for all occasion be it at work or shopping. Zaful is an online shopping destination for all the fashion lovers across the globe. Zaful offers trendy clothes at a reasonable price compared to many online shopping sites. The best part about Zaful is it caters to plus sizes as well. If you are a small or a plus size, Zaful gets you covered for all. So what are you waiting for, check this fabulous site and order online? For any further query regarding their latest collection, click-here to find out more.